Andrew is our Lead Pastor at Compass, moving our church forward in the pursuit of our vision to be a multisite church, committed to the spiritual transformation of people, families, and communities. Andrew works with our Elder Board, oversees our staff team and leads our teaching ministry. After almost two decades as a pastor in Mississauga, Andrew and his wife Amy moved to Orangeville with their four sons: Johnathan, Matthew, Eric and Mitchell. Andrew is highly relational and passionate about church planting and missional community engagement. He is active in our community in many ways including coaching hockey and baseball. Andrew has a desire is to see others walk in a deepening relationship with Jesus and to be fully equipped to live out God’s mission in their everyday lives. He grew up in a farming family in Southern Ontario (Arkona) before moving to Toronto to study at Ontario Bible College and Ontario Theological Seminary (Tyndale). In 2008, Andrew developed a life-threatening illness which after four difficult years required neurosurgery and several critical medical procedures. The process of preparing to die both shook and solidified his faith. He loves watching NASCAR racing and cheers for all things Toronto when it comes to sports. Julianne has been on staff at Compass since 2006 and has overseen quite a few diverse areas of ministry. As our Executive Director, she is providing organizational and administrative leadership to ensure strategic ministry objectives align with our overall mission, vision and values. Julianne also gives specific oversight to all the areas of discipleship in our multisite context, from kids and students through to adults with an emphasis on our group life ministries. Julianne oversees our staff who do the hard work of making sure our Sunday morning connections ministry run smoothly, as well as administration, human resources, and facility. She is a strategic thinker and is passionate about equipping and investing in others, particularly leaders. She often finds herself involved in projects that include the development of systems, processes and policies with our staff and Lead Team. 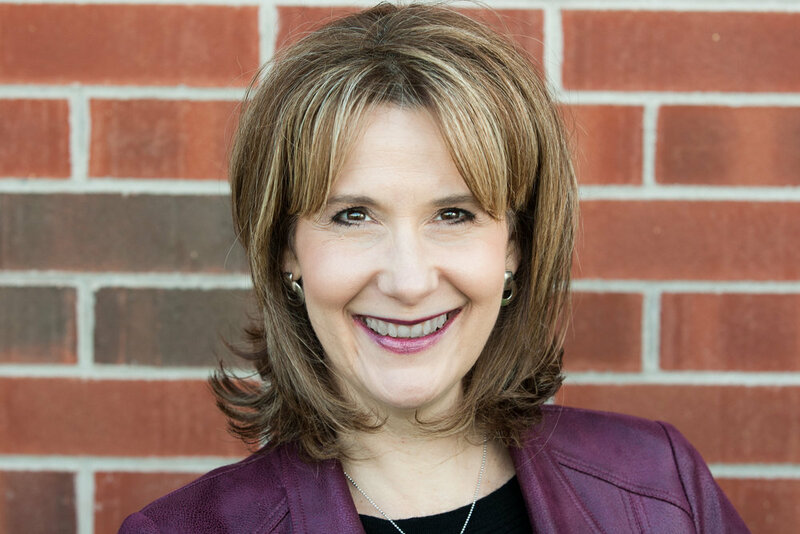 Julianne is a certified life coach and has also served on both the National and Regional Board of Directors for the Fellowship of Evangelical Baptist Churches in Canada. Her life is made richer sharing it with her husband Paul and two adult sons, friendships, a good book, guacamole and her camera. Jay and Deb serve as the Directors of our Shelburne Site. They provide pastoral care and leadership of Compass' mission in the Shelburne area. Working as part of our staff team, they coach, plan, encourage and oversee Compass' ongoing ministries both at our Shelburne Site and in the community. In addition, Jay serves as one of our primary teachers working with Andrew Gordon in the development and delivery of our Sunday services. Jay also serves on our staff Lead Team, which provides accountability for our staff and the implementation of our mission and vision. Jay and Deb have lived in Shelburne for 15 years with their kids Laura and Jacob and dog Shiloh. They are passionate about multiplication and engaging their community with the Kingdom of God. In their spare time Jay loves all sports, music, and cooking while Deb loves to be outdoors hiking or canoeing. Despite their 15 years in Shelburne neither one plays the fiddle. David Dorman is our Grand Valley Site Director and will also serve as Regional Ministry Coordinator. 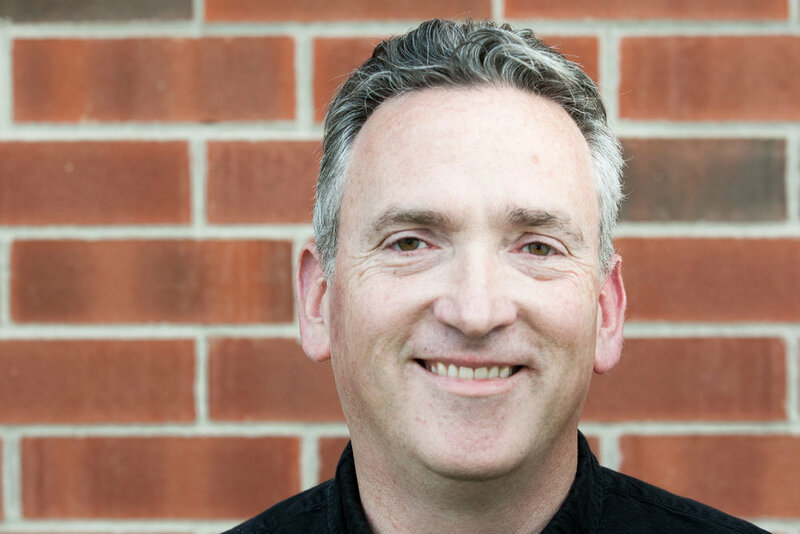 David will oversee the groundwork, launch, and continued growth of the new site in Grand Valley and bring leadership to our Compass regional ministry. David served on a pastoral team at a church that met in a school in Mississauga for 17 years. During that time, he was widely involved in providing leadership for city-wide and regional initiatives. David then moved to Kitchener to plant a church. With over 30 years of Christian ministry experience, David continues to have a passion for initiating new works, worshipping, networking, and reaching out to the community. David is married to Marianne and they have two children, Elisa and Daniel. In his free time, you are likely to find him spending time with family or having coffee with a friend. David began his career in the music industry as a folk musician and Performing Arts Studio Manager. To this day, David continues to thoroughly enjoy playing in a band, supporting his son’s music career, taking road trips and relaxing at the beach. Rodney Vis is our Director of Student Ministry. He oversees ministry to students in grades 6 - 12 including our Young Adults. He is a strategic, servant leader with a committed passion for effectively engaging the next generation with the message of Jesus Christ. Rod’s heart is to develop and empower students and young adult leaders in our communities and is passionate about Compass’ vision for multisite. With over 18 years of ministry experience Rod has contributed to the youth ministry world by leading large youth retreats, camp ministry and cross-cultural missions. Rod also sits on the Board of Camp Kwasind and the Ontario Branch of Christian Camping International. He is married to Jen and they have four children, Tyler, Hannah, Carter and Abby. Rod’s relaxed and relational approach to life allows him to make friends wherever he goes. Mary Jane Gerber is the Director of Children’s Ministry and is responsible for all children’s programming at Compass. She fell in love with Jesus when she was a small child and is passionate about helping others do the same. She loves children and for more than 35 years has been creating, running, and teaching children’s programs for schools, municipalities, churches, and summer camps. A graduate of the Sheridan College Illustration program, she is an internationally published children’s book illustrator/designer. She is also a MACTE certified Montessori teacher, a Kendal Life Languages Profile™ Certified Trainer, and a trained and practicing Spiritual Director (Tyndale Seminary). Additionally, MJ has completed her Graduate Diploma in Spiritual Formation, and is completing her Masters of Theological Studies Degree at Tyndale. She and her husband Ted have 2 grown children, Patrick and Rebekah. She loves the arts, nature, fitness, animals, toys, games, books, LOTR, Narnia, HP, Marvel, and yes, even DC. Erin is the Director of Administrative Operations. She oversees the administrative processes across all sites while giving leadership to the Admin and Facility teams. She also provides administrative support around the office and for our ministry leaders. 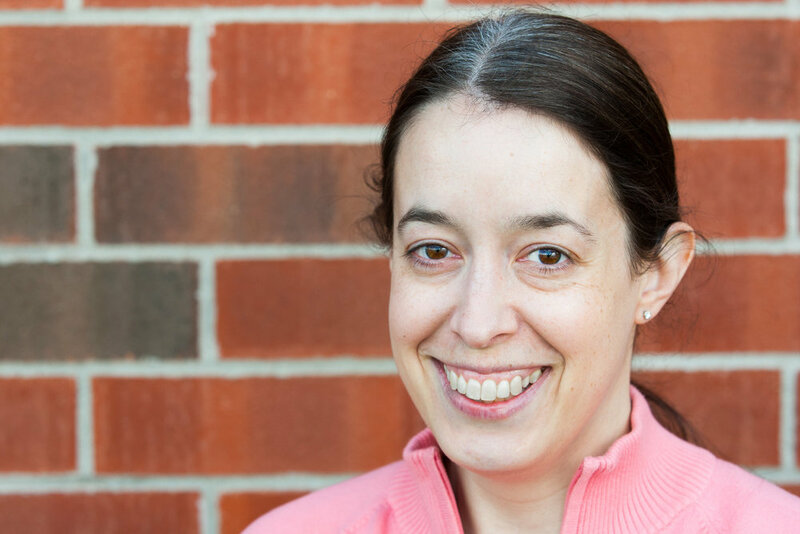 Erin is passionate about people, organization, and creating systems that work. These things have been key as she helps to create and maintain policies and procedures designed to fit Compass’ multisite vision. Erin is married to Viktor and they recently purchased a home in Orangeville. When not alphabetizing or colour coding everything and anything, Erin can be found working on one of many home improvement projects. Mike is the Treasurer at Compass and has started a new role as part-time Director of Finance and Coordinator for the Compass Run for Food. As a member of the Finance Team, he oversees all areas of finances, from receiving and distributing funds to budgeting and reporting on operations. As a member of the Run for Food Team, he coordinates communications and logistics for the annual run. Mike really likes to help programs run well, whether it’s by providing useful information, making the work more efficient, or just taking care of the background tasks that need to be done. Mike is married to Jill Bailey with four boys; Owen, Luka, Asher, and Nico. Besides solving problems with spreadsheets, Mike enjoys running and hiking the Bruce trails, and discovering new music with a great cup of coffee. Jen is our Group Life Coordinator and her primary focus is on areas of discipleship. Jen oversees our Home Group ministry, Focused Groups like DivorceCare and Freedom Session and also supports our growing Women’s and Men’s Ministry. Jen spends time equipping home group leaders, assisting in the placement of those who want to be part of a home group, and designs and facilitates leader gatherings. She also oversees the weekly programming of our Focus Groups in partnership with their ministry leaders. Jen is passionate about helping others grow in their faith and experiencing meaningful relationships through small group ministry. She is currently working on a Bachelor of Religious Education degree at Heritage College and Seminary. Jen is married to Rod and they have 4 teenagers; Tyler, Hannah, Carter, and Abby. When she isn't busy playing taxi driver to her kids, she enjoys catching up with friends over a good cup of coffee. Larisa is our part-time Connections Coordinator. She works with volunteers for our Sunday services in the areas of hospitality, connections centre, ushering, greeting, communion servers and the prayer team. Larisa delights in helping people to feel welcome at Compass, seeing people connect with each other and encouraging them to actively participate in serving. People and their stories are both an encouragement and a reminder to Larisa that as we share our stories we tell of God's mighty work in our lives. She was in her mid 40's and a bereaved mother when she gave her life to Christ and is forever thankful for how God uses community to draw people to Christ and grow in faith. She and her husband Maris enjoy time spent with their children in person and via skype! And yes, she has tried every flavour of Kawartha ice cream! Carolyn Chang is our part-time Compass Kids Administrative Coordinator and serves both our sites during the week and on Sundays as needed, working closely with Children’s Ministry Director Mary Jane Gerber. She oversees all curriculum preparation and distribution, scheduling of volunteers for Orangeville, Child Protection Policy process, and supports all aspects of Compass Kids Ministry. She loves children and is thrilled to serve the Compass Kids Ministry. Carolyn, who is both Canadian and Australian, has her B. Ed. and taught at Rift Valley Academy in Kenya serving Missionary families. She lives in Grand Valley with her husband Andrew, who shares her love for world travel. Carolyn loves to hang out with her friends and family, read Christian suspense novels, and see others deepen in their relationship with God. David Aukema is our part-time Communications Coordinator. He regularly takes the lead on content creation projects, including weekly video announcements, sermon series graphics and videos, ministry highlights, and baptism testimonies. David is passionate about all things relating to content creation and design and has attended York University and Fleming College for Film Production and Web Design, respectively. When not designing something on the side, he and his wife Teresa are probably working on a home improvement project, camping with their dog Lucy, or already waiting in line for the next Marvel movie. Rebecca serves part-time on the Compass staff team as the Property and Building Coordinator. She oversees and manages all aspects of the property and building at the Orangeville site while giving leadership to the Facility, Chair, Property and Kitchen teams. She helps provide support for all ministries throughout the church as well as public rentals. Rebecca is thankful to partner with Wayne Johnson, Lindsay Grice and Eden Riley who together with her keep the building and property cared for and safe. Rebecca has a deep love for worship and is happy to be providing interim support as Service Coordinator within the Worship Ministry. She is committed to people, and also organizing and creating efficient work processes that enable spiritual gifts to be utilized. Rebecca has a passion for equipping, teaching, encouraging, leading, worshipping and empowering those around her. She is sold out for all God has for her and is hungrily pursing more of Him. When not working, Rebecca enjoys mentoring and spending time with her family. She can eat chocolate at all times of the day. Catherine is our part-time Finance Coordinator. When bills need to be paid, Catherine’s your girl. She also processes payroll, assists with the year end audit, and is part of the finance team which gives input into the annual budget process and provides financial updates to the elders and congregation. While Catherine loves crunching numbers and has never met a spreadsheet she doesn’t like, she’s also fun-loving and enjoys being in community. Catherine is married to Don and they have two adult children. Stan Johnston is the part-time Pastoral Care Coordinator for Compass and he oversees the ministry of visitation by selecting and organizing teams of volunteers to spread out in the community, to contact the marginalized, shut-ins, hospitalized, people in seniors residences, and the sometimes forgotten. His heart is to enhance the overall culture of care in our church community. Stan cares for seniors through personal contact, listening to understand needs and promoting their participation in church and community life. One of the encouraging ministries he oversees is the lively Seniors Bible study with Pastor Don Fitchett every Wednesday morning. Stan is a graduate of Central Baptist Seminary ‘ 72. He had the privilege to Pastor churches in Ontario for almost 20 years. He lives happily with his wife Susan in Orangeville. They have 6 children and 9 grand children. Peter is our part-time A/V Coordinator and his primary focus is anything tech in the realm of audio, video and lighting. He serves all the ministries of the Compass sites together with the A/V team. Peter provides leadership for the volunteer A/V teams for both sites. This team is actively leading the development of the technology infrastructure needed to help Compass meet the vision of being a multi-site church. Peter is married to Lynn who is currently still in Portland, Oregon with their cat Wallace. When Peter isn't working on technology or coaching people around the globe, you might find him outdoors with his camera capturing the essence of God's creation.